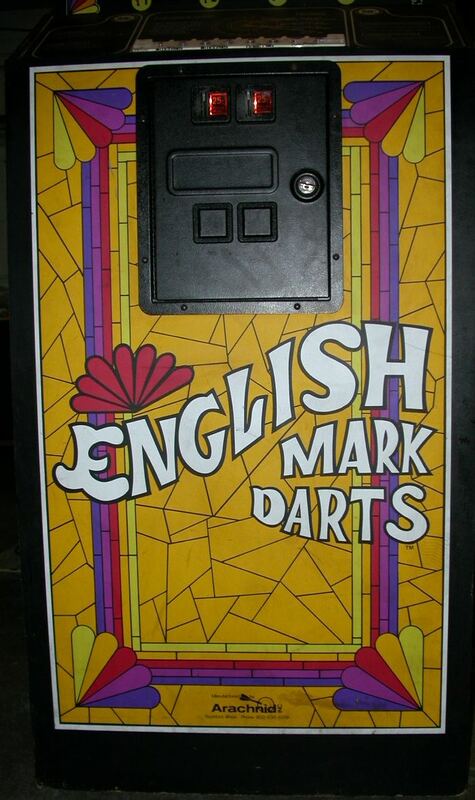 This is a classic 1985 electronic dart board produced by the industry leading Arachnid. 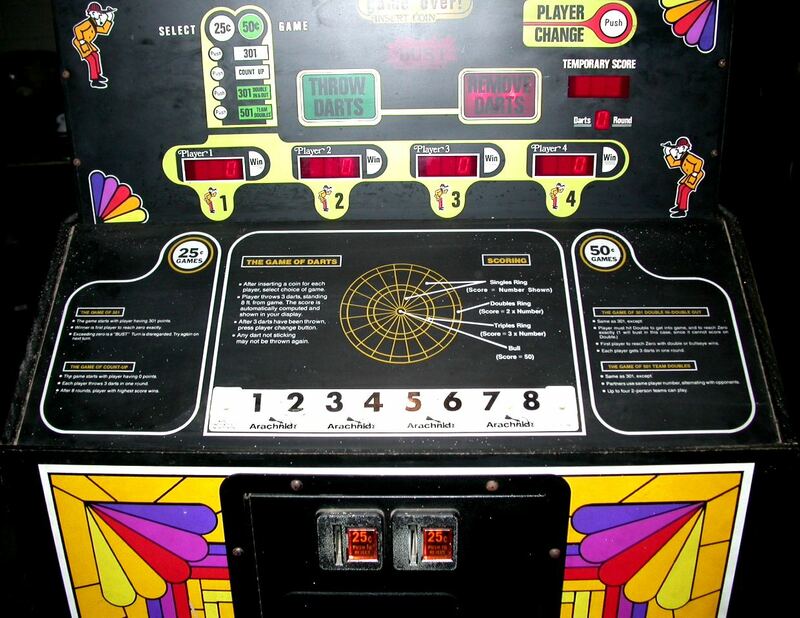 The 4500 series model has 4 games to choose from and automatically keeps score for up to 4 players. Special plastic dart tips (included) are compatible with your existing darts or you can use the darts supplied with the game. Nice safety feature - no more holes in the wall. A unique addition to your game room. Control Panel Control panel is in excellent condition 9.5 Buttons in excellent shape.